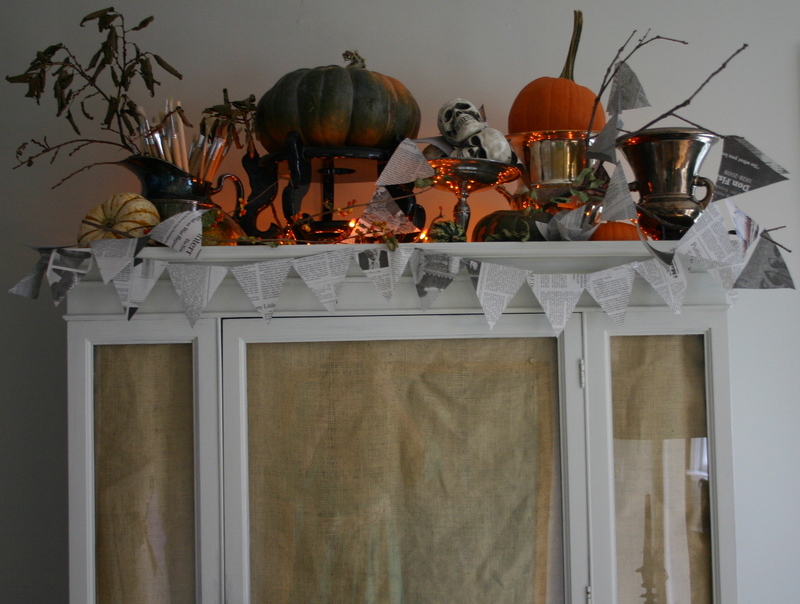 The top of our china closet – decorated with pumpkins, gourds, branches, newspaper garland and silver. 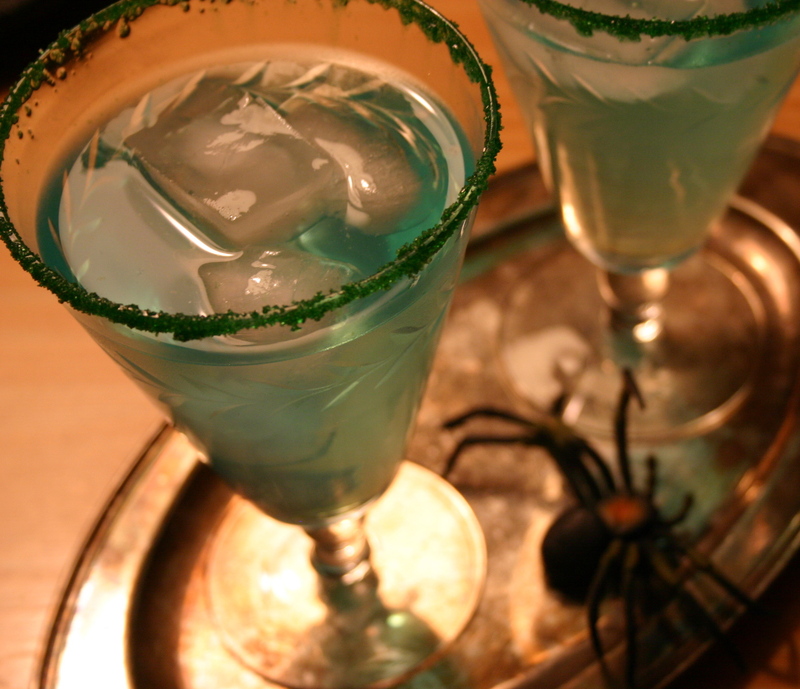 Blue Gatorade in stylish goblets that are sugared with green cake crystals are a huge hit with kids. 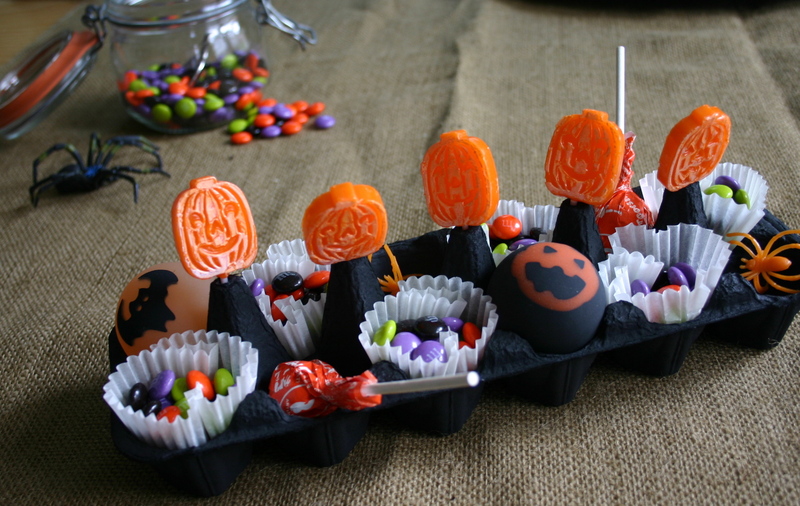 For Halloween fun, try making an egg carton candy tray.